Kentucky Process Server Insurance. In today's business and social climate, it's imperative that process servers have all the facts, but getting them is not always easy particularly in the face of legislation that has grown out of greater public focus on the issues of privacy, profiling and civil liberties. Conducting skip-traces and attorney services can be like walking a tightrope. One slip can have serious and lasting repercussions. For such instances, having proper Kentucky process server insurance coverage specifically designed for process serving companies, or individuals, is critical. This not only protects your business, but also provides indemnity from, the acts of employees, independent contractors and others. Kentucky process server insurance protects your business from lawsuits with rates as low as $27/mo. Get a fast quote and your certificate of insurance now. 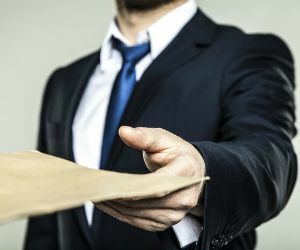 Professional Liability: Even though no state requires that process servers carry professional liability (errors and omissions) insurance, that doesn't mean they shouldn't carry it. In fact it's something that many have in order to run a process service business. The liability of not having Kentucky process server insurance far outweighs the cost of having the policy. For instance, the court documents you're to file with the Court has a mandated deadline of 4:30 pm. You arrive late at 4:35 pm due to a traffic problem. The client you are working for must now prepare documents to present to the court as well as appear in person before the court. Who pays the attorney's bill at $350.00 per hour? 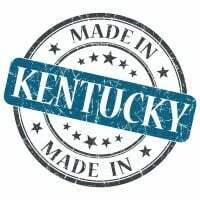 Your Kentucky process server insurance covers the bill. General Liability: You need general liability insurance to provide coverage for legal hassles resulting from injuries and accidents. This Kentucky process server insurance policy protects against payments resulting from property damage, bodily injury, medical expenses, slander, libel, the cost of defending lawsuits, and settlement bonds or judgments required during an appeal procedure. Business Owner's Policy (BOP): A business owner policy packages all required coverage you would need for your company. Often, BOP's will include business interruption insurance, property insurance, vehicle coverage, liability insurance, and crime insurance . Typically, you will save money by choosing a BOP because the bundle of Kentucky process server insurance often costs less than the total cost of all the individual coverage's. Workers Compensation: This Kentucky process server insurance protects your company against injury and illness claims by employees. If you are a sole owner and employee, with no other staff, you don't need workers comp in most states. As soon as you employ one person, even if they are working for you on a voluntary basis, the law requires you to have KY workers comp in place. This will cover medical treatment, disability and death benefits in the event an employee is injured or dies when working for you. Cyber Liability: If you store sensitive or non-public information about employees or clients on your computers, servers or in paper files you are responsible for protecting that information. If a breach occurs either electronically or from a paper file this Kentucky process server insurance policy will provide protection against the loss. While commercial insurance is not all inclusive, KY process server insurance plans will cover most of your businesses risks. Request a free Kentucky Process Server insurance quote in Alexandria, Ashland, Barbourville, Bardstown, Beaver Dam, Bellevue, Benton, Berea, Bowling Green, Brandenburg, Cadiz, Calvert, Campbellsville, Carrollton, Central, Cold Spring, Columbia, Corbin, Covington, Crescent Springs, Crestview Hills, Crestwood, Crittenden, Cynthiana, Danville, Dawson Springs, Dayton, Douglass Hills, Eddyville, Edgewood, Elizabethtown, Elsmere, Eminence, Erlanger, Flatwoods, Flemingsburg, Florence, Fort Mitchell, Fort Thomas, Fort Wright, Frankfort, Franklin, Georgetown, Glasgow, Graymoor-Devondale, Grayson, Greenville, Harrodsburg, Hartford, Hazard, Henderson, Highland Heights, Hillview, Hodgenville, Hopkinsville, Hurstbourne, Independence, Indian Hills, Irvine, Jeffersontown, La Grange, Lakeside Park, Lancaster, Lawrenceburg, Lebanon, Leitchfield, Lexington-Fayette, London, Louisville, Ludlow, Lyndon, Madisonville, Marion, Mayfield, Maysville, Middlesborough, Middletown, Monticello, Morehead, Morganfield, Mount Sterling, Mount Washington, Murray, Newport, Nicholasville, Oak Grove, Owensboro, Paducah, Paintsville, Paris, Park Hills, Pikeville, Prestonsburg, Princeton, Prospect, Providence, Radcliff, Richmond, Russell, Russellville, Scottsville, Shelbyville, Shepherdsville, Shively, Simpsonville, Somerset, Southgate, Springfield, St. Matthews, Stanford, Stanton, Taylor Mill, Union, Versailles, Villa Hills, Vine Grove, Walton, West Liberty, Wilder, Williamsburg, Williamstown, Wilmore, Winchester and all other cities in KY - The Bluegrass State.